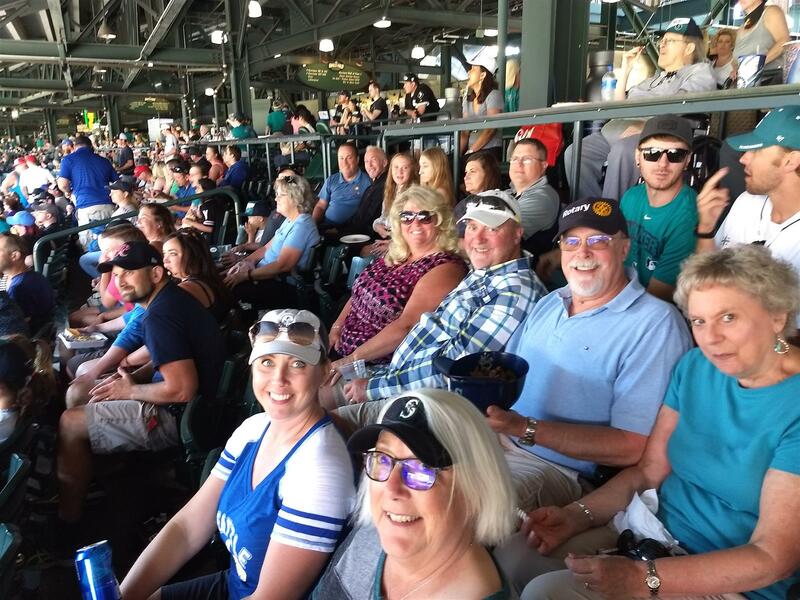 Skookum Rotarians Had Fun Socializing, Helping Children through Credit Unions for Kids and Watching a Mariners Win. Twenty Rotarians and a Total of Forty (40) People attended. Thank you Jim Morrell for arranging the logistics! 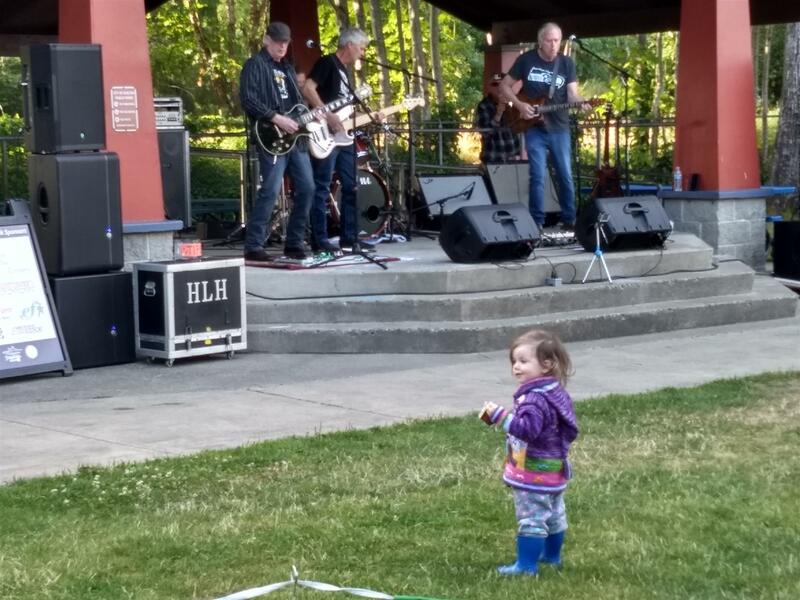 Skookum Rotary and our event sponsors are presenting great concerts for Shelton folk who like to sit back, relax and get some food while listening to the great line-up of bands that we have arranged. 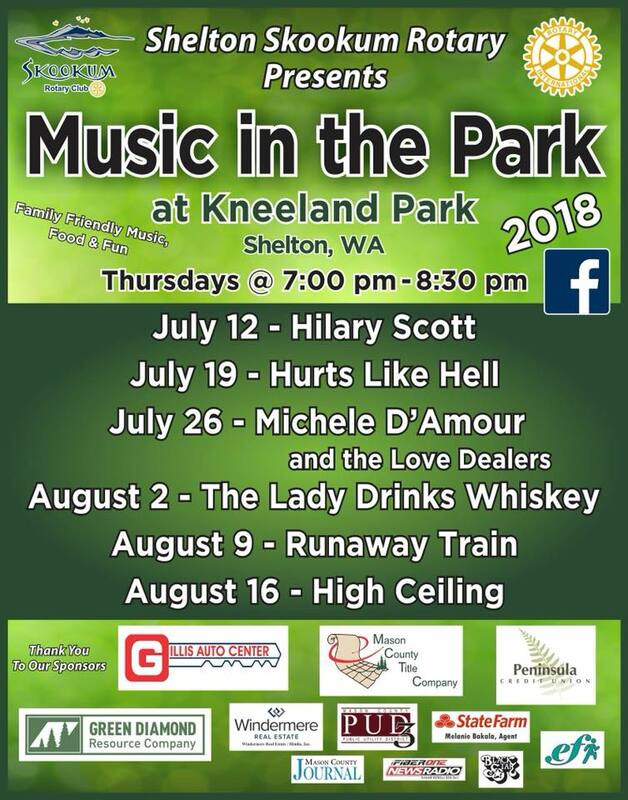 Music in the Park is every Thursday (7:00 pm) at Kneeland Park through August 16th. 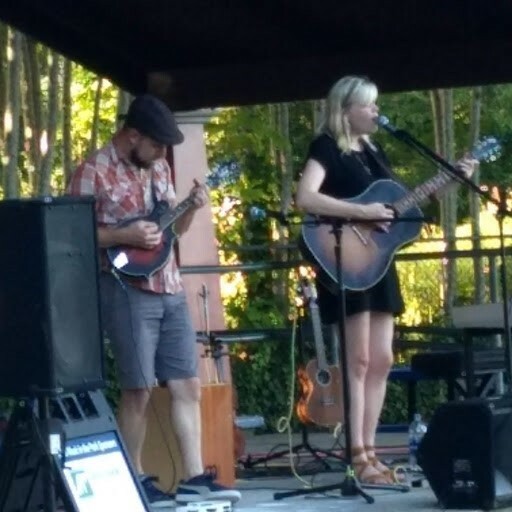 Many of the bands will also be playing at OysterFest on October 6th-7th. Thanks to our 11 local sponsors without whose generosity this event would not be possible(see them on the poster below)! 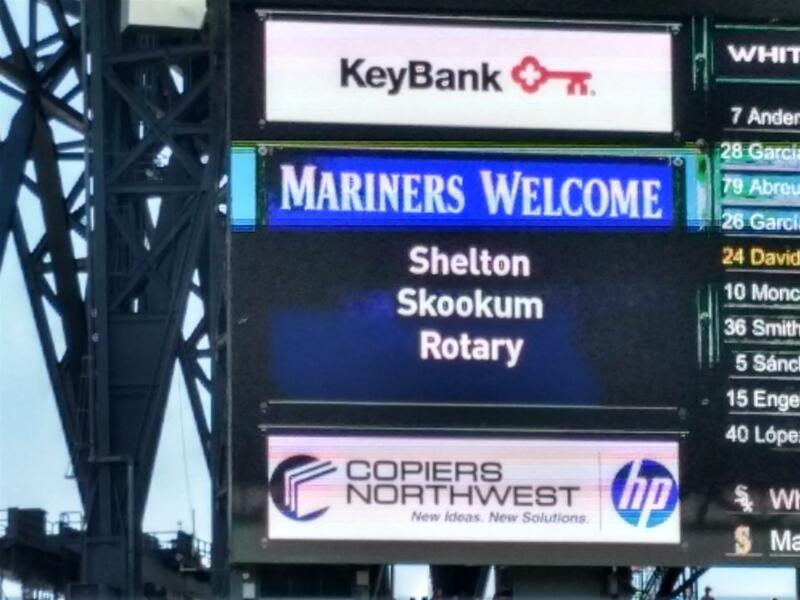 Thanks to Skookum Club Member, Justin Baze for producing the event! 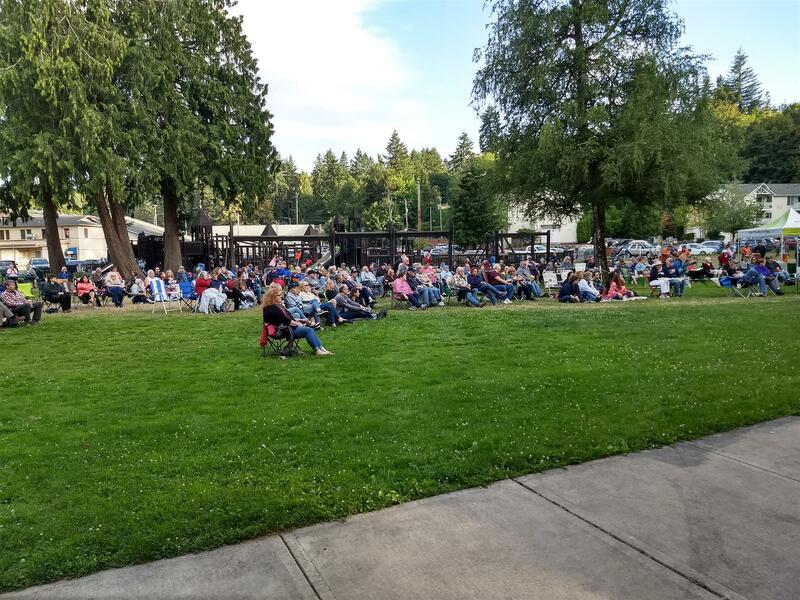 Thanks to Shelton for being a great audience!